Be your best version with continous learning in Tech, Design and Art. 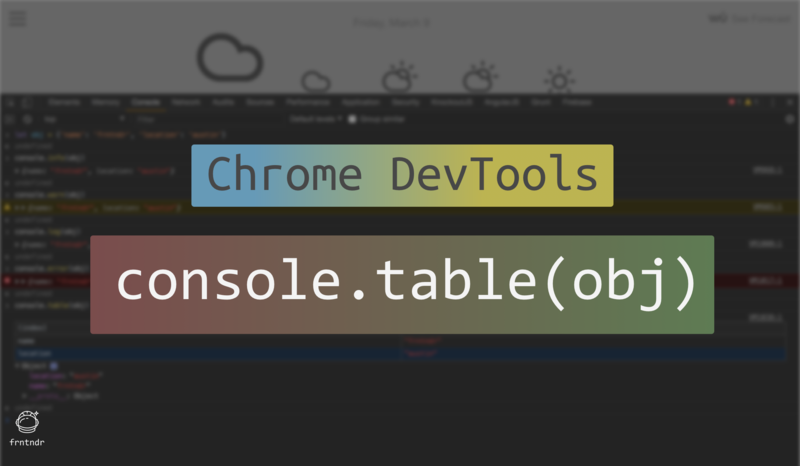 Chrome DevTools - console.table API to log objects in table format. Hugo blogging framework - Getting Started. The world’s fastest framework for building websites. Prettier usage in pre-commit hooks to ensure consistent code styling, formatting. Prettier, CLI tool in npm scripts. Prettier CLI tool usage in npm scripts. Prettier CLI tool usage and options. Prettier, Options using Config File. Set Prettier options using config file. Prettier, in Visual Studio Code. Prettier usage in Visual Studio Code editor. Prettier, in Atom code editor. Prettier usage in Atom code editor. Prettier, an opinionated code formatter. Introduction to Prettier, an opinionated code formatter. How to find timezone name and abbreviation using Moment.JS?